A Seed of Reconciliation: Ukrainian - Russian conflict. 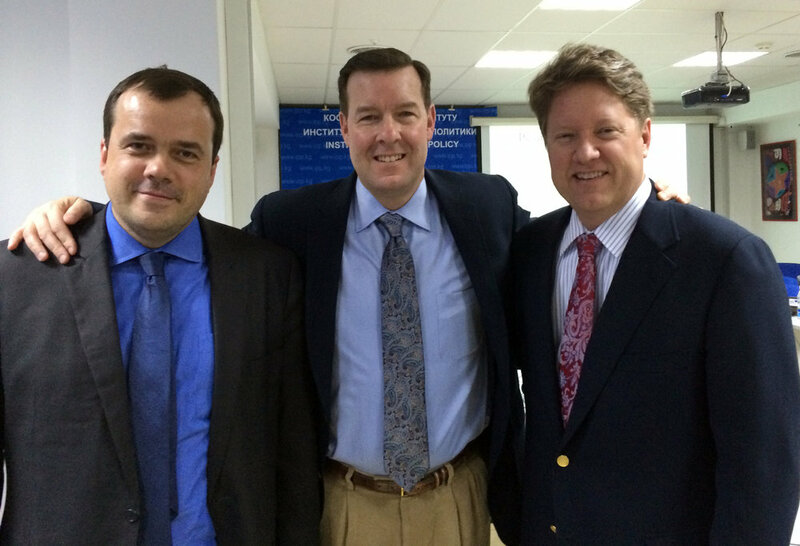 Orchestrating an unprecedented meeting in July 2014, the Institute for Global Engagement invited a dozen Russian & Ukrainian pastors to a safe, neutral place in Istanbul. The dialogue between the two factions whose governments were in active military conflict was dynamic, each bringing their viewpoints with little resolution until the final day. As brothers in Christ sharing communion, one Ukrainian pastor named and isolated the thoughts of all: “We don’t know what to say, or what to do”… [because our faith has been reduced to Sundays and we don’t know how to relate to the geopolitical complexities of this war and humanitarian crisis.] With this knowledge, IGE together with Wade Kusack followed up with three additional peace and reconciliation meetings, adding practical service and humanitarian aid to the Theory of Change model. Two of the meetings occurred in Sloviansk, Ukraine, with dramatic and mind-changing results as described below. A turning point, the work of peace and reconciliation was finished by God the following morning in a church service. One of the Russian pastors went to the altar, publically asked the Father for forgiveness on behalf of the pain and suffering perpetuated by his country and then, joined by other Russian and Ukrainian pastors, asked God for forgiveness for both nations. It was a mind-changing weekend. Bringing hope, aid and mercy united the opposing groups. They became friends. At the same train station, the Russian pastors departed just three days as brothers once again and both groups making plans to continue alleviating suffering through tangible help and aid. We were able to conduct 4 similar events where more than a hundred pastors from Russia and Ukraine participated. Many of the pastors have begun preaching on reconciliation in their churches and some started their own humanitarian missions to the parts of Ukraine affected by war. Most of all, the meetings expanded the dialogue on reconciliation in eastern Ukraine to include critical concepts such as religious freedom, refugees and trauma healing. As apprehensions in Central Asia rise about the possibility of religiously-motivated instability resulting from the U.S.’ impending departure from Afghanistan, IGE and the Carnegie Endowment for International Peace have launched a series of conferences on religion, security and citizenship in Central Asia. The most recent conference was held in Bishkek, Kyrgyzstan, from 24-26 February and is the third conference in the series (the first was held in May 2013 in Astana, Kazakhstan, and the second conference in Almaty, Kazakhstan, in December 2013).The Bishkek conference focused on three critical themes: religion’s role in the construction of identity, religious education, and religion and family issues, including women and youth. Participants hailed from Kazakhstan, Kyrgyzstan, Tajikistan, Uzbekistan, Russia, Afghanistan, India and the United States. The first day and a half of the conference focused on region-wide concerns, with 45 participants engaging in a lively discussion on the three foci of the series, as well as hearing perspectives from a panel of international experts. IGE president Chris Seiple delivered the keynote address which can be viewed online here. The conference ended with a discussion of practical next steps and policy recommendations. The second half of the second day featured a special follow-on session devoted entirely to Kyrgyzstan, where 41 participants, including representatives of the Commission on Religious Affairs and the Office of the President of the Kyrgyz Republic, debated key topics such as the meaning of secularism and the role of the government in regulating religious institutions. During the session, the Kyrgyzstani government invited the International Religious Freedom NGO Roundtable to provide feedback on planned religious policies. 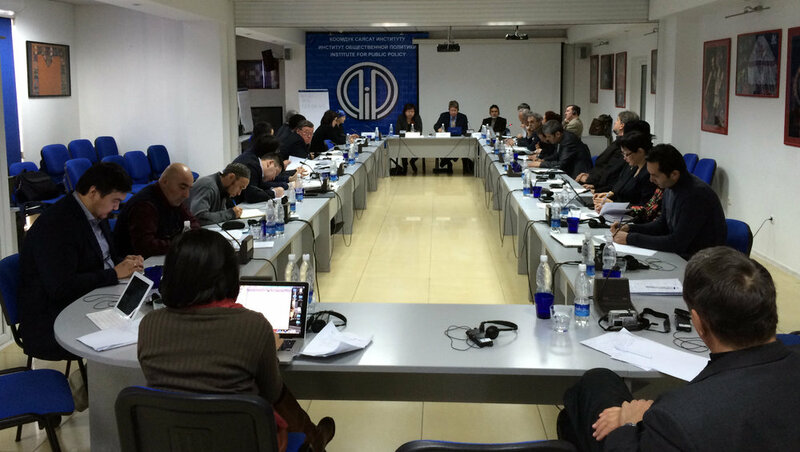 On 26 February, IGE and Carnegie led a roundtable that included Uzbeks, Kyrgyz and Russians in Osh, a city in southern Kyrgyzstan that was the site of ethnic violence in 2010 which left over 400 dead. Participants raised many of the same concerns that were discussed in Bishkek, such as the meaning of secularism, the role of the government in regulating religious groups, and the future of religious education.